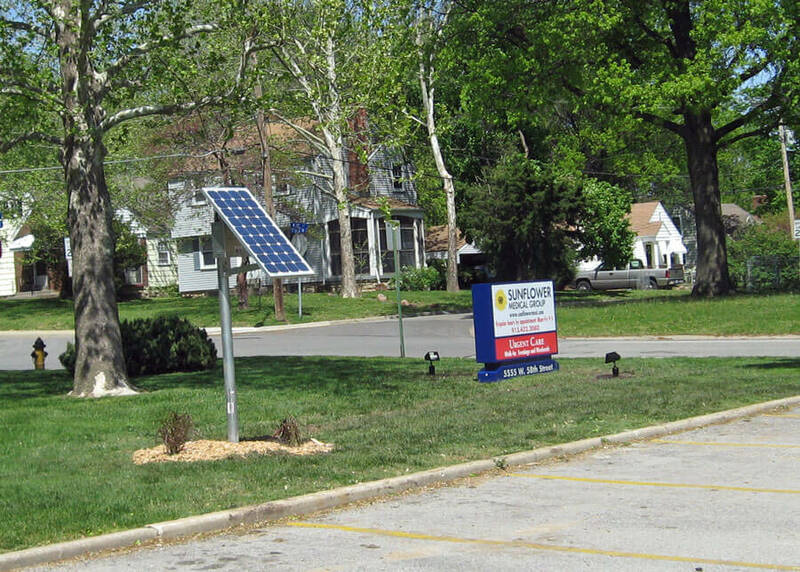 Below are some of our solar sign lighting projects. 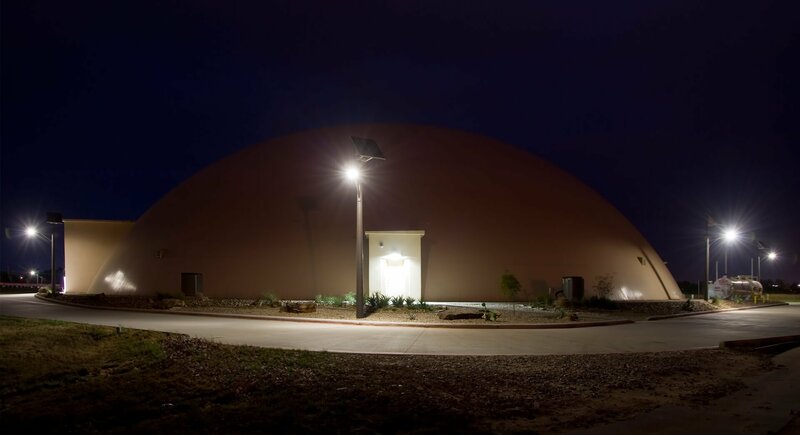 These projects feature different style fixtures for illuminating signs and billboards. 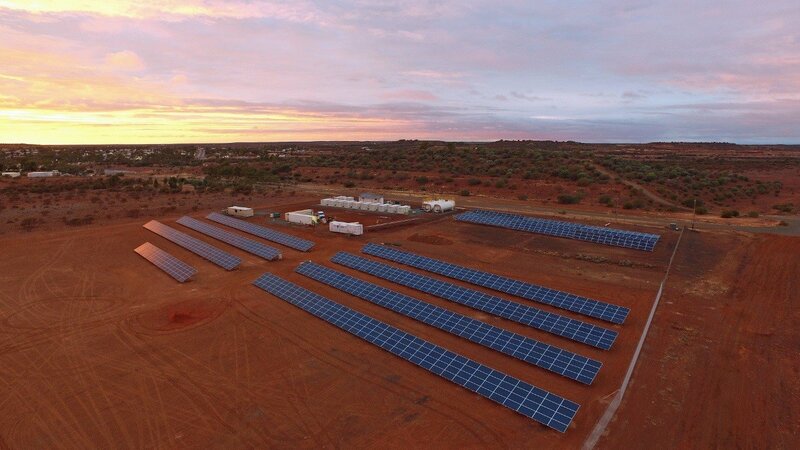 Our systems are sized for a minimum of five days autonomy and require no connection to the electric grid; however, grid backup systems are also available. 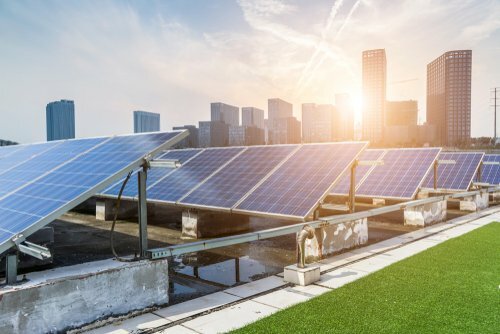 As demonstrated in thousands of existing projects around the world, our proven solar sign light systems feature rugged commercial-grade construction combined with unsurpassed quality, performance, reliability and the value of 25+ year system life expectancy - all backed by the best warranty in the business. 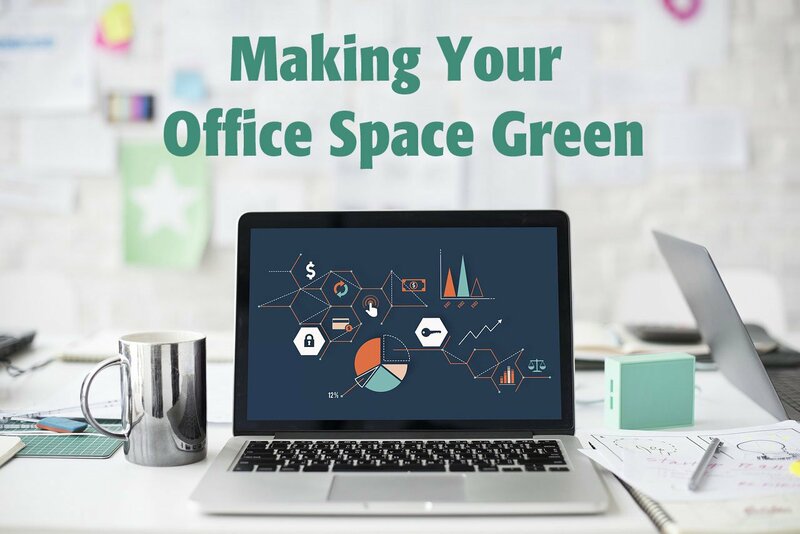 Click on any image to learn more about the project. 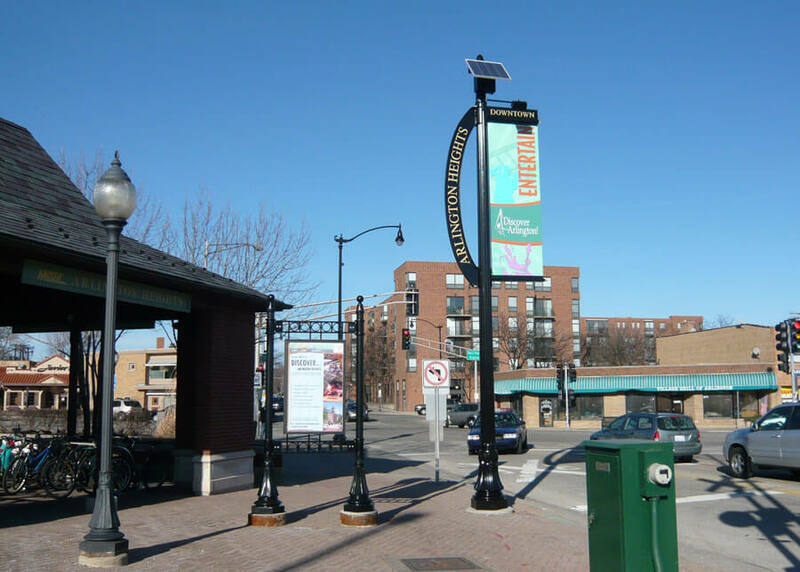 Solar banner sign lights for City of Arlington Heights are used in the downtown walkway areas as the electrical grid was not available for the lights. The system is powder coated black to blend into the light poles. Internally illuminated solar led sign light was installed at IRSC to provide lighting as the grid power was not readily available. Our stand-alone solar power assembly was a perfect fit. 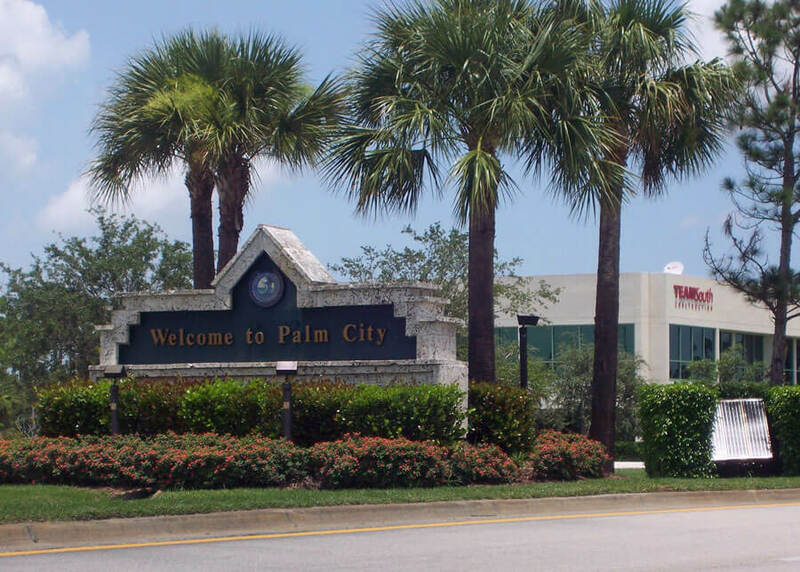 Art Craft Signs uses our solar lighting systems for kiosk signs to provide information to people after dark. These lights are the perfect solution for lighting after the kiosk is installed. 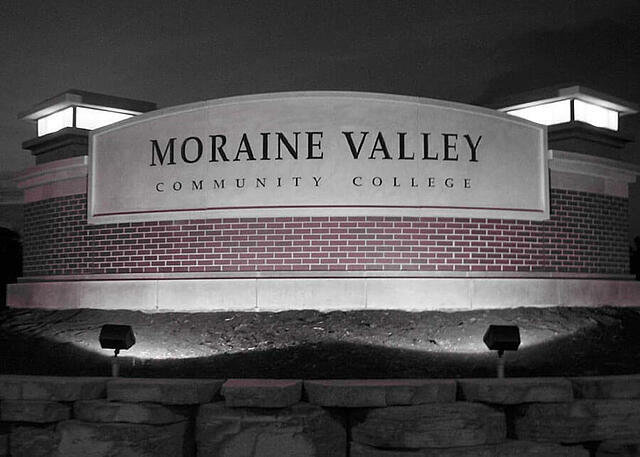 Solar monument sign lighting systems are used by Moraine Valley Community College to light the entrance signs to the college. Theses systems provide even lighting to the monument sign for night illumination. 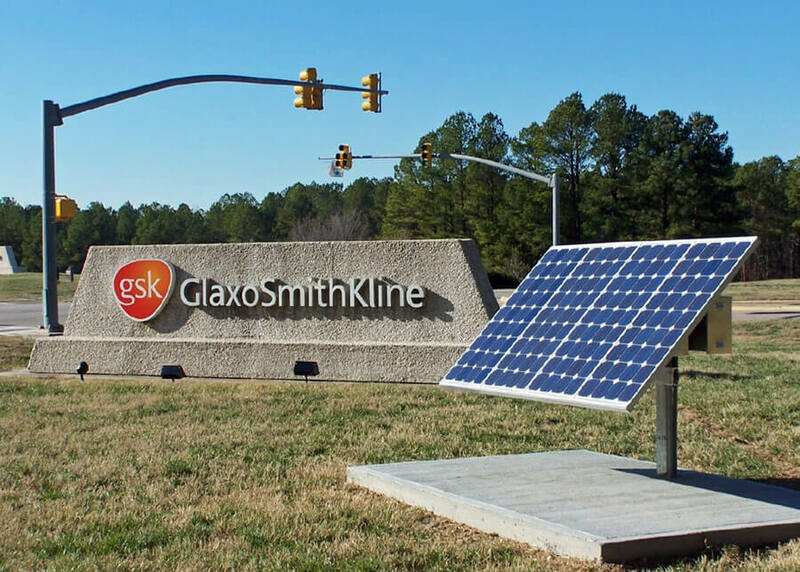 Glaxo Smith Kline uses our solar sign lighting systems to illuminate their signs at the entrance to multiple facility locations. 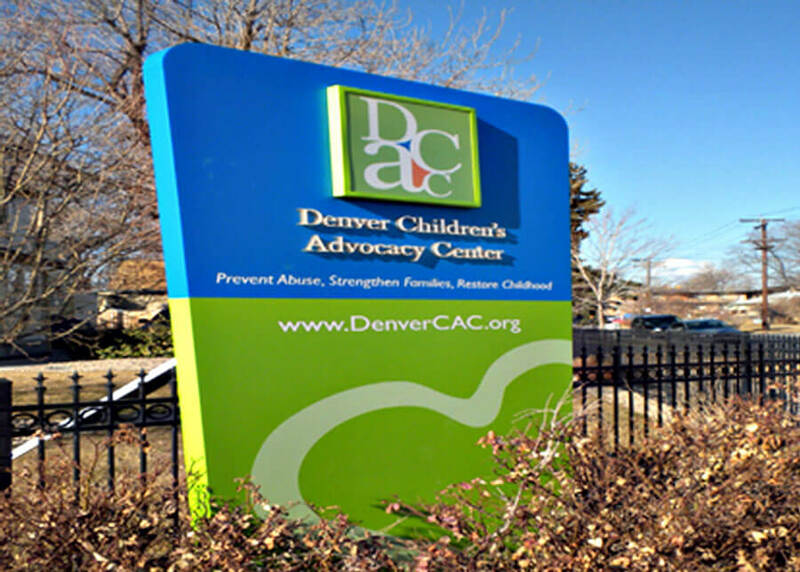 The Denver Children's Advocacy Center uses our internally illuminated LED sign lighting system that utilize high powered LED strips to illuminate the sign all night. 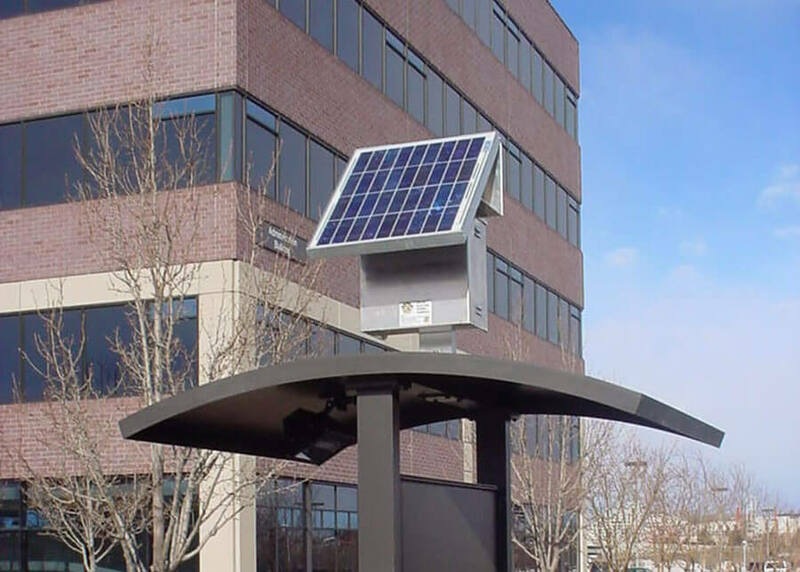 Solar sign lighting is one of the most popular systems purchased as the systems are small, can be installed anywhere and have the ability to adapt to any project needs. 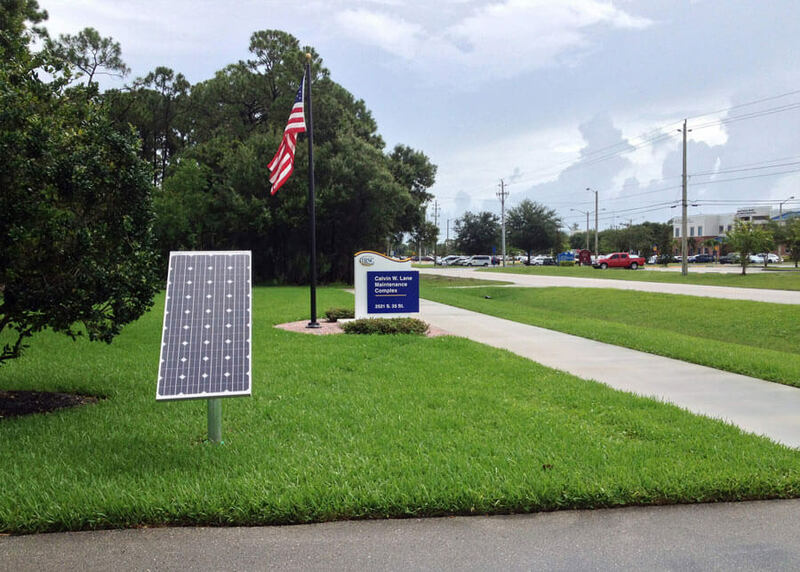 Solar sign light systems are installed all over Martin County, FL to provide lighting to city signs. These lights provide information to travelers while saving the city money on installations and electricity.